Books should be free for everyone to enjoy. This particular site, formerly known as BooksShouldBeFree, still holds to this mission after so many years, but has since changed its name to Loyal Books. What Are Public Domain Books? Most of the books on this site are in the public domain because their copyrights have expired. You will come across some of the world’s best works of literature 35 Classic Novels You Can Read for Free on Your Kindle 35 Classic Novels You Can Read for Free on Your Kindle There's a treasure trove of free, out-of-copyright books available on Amazon.com to download to your Kindle right now. Here are our recommendations for classic novels you should be reading... Read More as you cast your eyes down the 7,000+ list of titles. The classics were published long ago and their copyrights have since expired. Any book that was published before 1923 is now covered by public domain. It’s great news for all of us who love classic literature. Now, let’s explore this stash of literary riches. Use the Google Custom Search to look for a book by title, author, or keyword. Alternatively, you can browse through the collection by categories such as fiction, history and romance. The site also covers a selection of foreign language audiobooks. A bibliophile can look through old tomes in ancient Greek, old English, and Urdu among more contemporary. Some of the old titles do have more updated pronunciations. Click on a title and each book gets a dedicated page. As you can see, the site won’t grab design awards but it will get a pat for clean design and absence of tiresome ads. Check out the blurb and scroll down from it to links to the audiobook formats. You can download a book as a MP3 file or bring it into your iTunes as a podcast. There’s section on the side which holds all the individual chapters of the audiobook. You can stream them or download one little section at a time. It’s not a bad idea when faced with the prospect of a book like Les Misérables. I see 70 individual bits that make up the massive novel. The books are also available for download in their ebook avatars. Take your pick from EPUB, MOBI, HTML, and TXT formats. As you experience the audiobooks, do give some leeway to the recordings. All recordings come from volunteer efforts at Librivox, which happens to be another site with a great collection of public domain books. Loyal Books has its own set of Android and iOS apps. 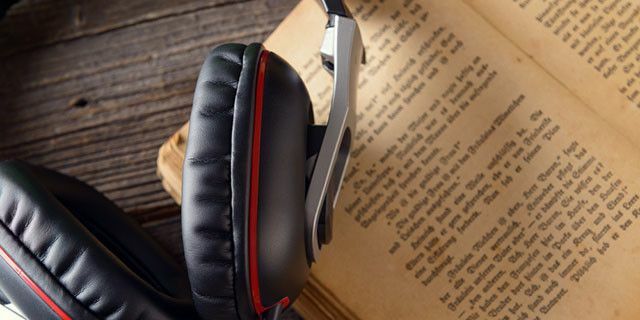 Do you think audiobooks are vastly under-appreciated? Which is the one audiobook you have enjoyed the most? Explore more about: Audiobooks, Ebooks, Freebies, . This site is from the same template as AudioOwl.com, same books, nearly the same layout. At least they have loftier content than most $10 godaddy cookie cutter websites. Another makeuseof.com recommendation, PodioBooks.com, offers much more variety from up and coming authors. Now, that is a recommendation that I can get behind. I found PodioBooks.com, also reccommended by makeuseof, to be a much better resource.